Thrilling fun for the whole family is a short drive from the Country Inn & Suites® by Radisson, Schaumburg, IL. Step into the past and feast like a king at Medieval Times Dinner and Tournament, or visit the iconic Navy Pier and catch skyline views on the Centennial Ferris wheel. Shop till you drop at Woodfield Mall, and attend professional sporting events at Allstate Arena and Schaumburg Boomers Stadium. 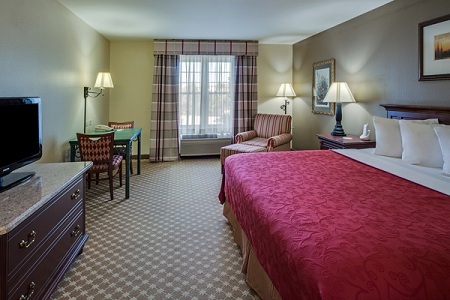 The hotel is also convenient to O’Hare International Airport (ORD), just 15 miles east on I-90. 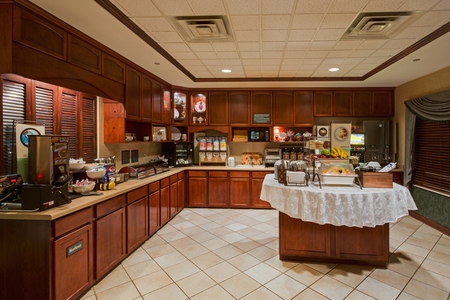 Our free, hot breakfast allows families to fuel up for a busy day before leaving the hotel. Enjoy popular morning dishes like corned beef hash, eggs, oatmeal, waffles and pastries. With more than 100 nearby restaurants, finding something for dinner couldn’t be easier. There are even delicious options within walking distance, like Boston Market and Fox & Hound. Medieval Times Dinner and Tournament – Feast and be merry as armored knights battle for glory beneath you. Thrilling for all and especially magical for kids, this attraction is located one mile from the hotel. Schaumburg Convention Center – Less than three miles away, this facility offers almost 150,000 square feet of space for trade shows, corporate events and sophisticated social galas. Woodfield Mall – Illinois’ largest shopping mall, featuring 300 shops and restaurants, lies just three miles away. If the kids are with you, head next door to LEGOLAND Discovery Center, a popular destination for the little ones. Our hotel offers premier accommodations for groups meeting at Schaumburg Convention Center or attending local weddings, conferences and other events. 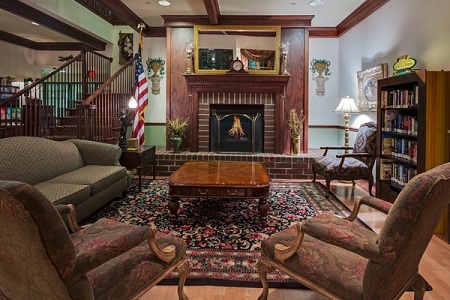 More than 100 groups choose the Country Inn & Suites every year due to our great rates and top-notch services, like free Internet and our complimentary, hot breakfast. Learn more about our groups and meetings.